Today, I am privileged to post an article written by Grace Sumrall. It's about caring for an elderly dog. She shares her experiences as well as her tips on how to keep your elderly dog happy and healthy. Update: Chooey's doing better. She has a bandage tape (sticky Leukoplast tape) on her doggy nuzzle. It minimizes the movement of her jaw (maxillae and mandible). After doing some research on dog jaw fractures, I was amazed to learn how often these incidents happen to dogs. Just like many families out there, dogs are an important part of our home. We got our three Labradors, one for each of our kids, seven Christmases ago and still enjoy quality bonding time with them. Gunther, Snow and Knight have become a part of our family. As they get older, certain changes can be observed in their demeanour. Though there is nothing to worry about senior dogs, like people, can age gracefully, but there are some important aspects that you might want to consider in maintaining their health. Here are some valuable tips to get you started. One important aspect in any dog's life that should not be taken for granted is on maintaining a healthy diet. There are quite a number of dog food brands nowadays making it hard to pick out the best one for our pet. What I did (as advised by our friendly vet) is to look at the label. Always make sure that substantial protein is present on the nutritional value of the dog chow. As they approach seniority, dogs needed more protein to fight off the onset of degenerative diseases. I have to make sure also that it has fewer calories as they can easily gain weight. To lessen the effect of aging, I always choose one laden with antioxidants, Vitamin E and beta carotene to help boost its immune system. Senior dogs, like people, easily succumb to diseases during these trying years. To maintain a healthy skin and coat, it is important to choose a dog chow that has omega-6 fatty acid or gamma-linolenic acid content. Through the years, I have learned that we need to be more sensitive to its needs. Senior dogs can be more affectionate as they get older and have an increasing needed for more attention and companionship. To get the best of our time spent together, we usually engage them to outdoor activities. By promoting active play, they can exercise while having fun outside. Be mindful of their ailments and the weather condition though. Steer clear of winter blues by using a heating pad on their beds or letting them rest when they do not feel like going out. Sometimes, all they need is a hug or a cuddle for comfort. Today, more than ever, they needs regular veterinary attention. In the same way as people, dogs ability to ward off diseases and infection degenerates over time. Engaging in routine medical exam with a vet can be a great help in monitoring its hearing and eyesight, dental problems, weight loss or excessive weight gain, arthritis, changes in behaviour, and other notable aspects affecting its health. Vets can properly compare weight measurements and lab results as well as blood tests to easily detect any form of illness before it sets in. This is even more so when you have a picky eater or have arthritis like our "Gunther". He was put on a special diet to ensure he gets the necessary nutrients. Our vet also recommends using a heating pad on its bunk during winter or when arthritis or insomnia kicks in. If you are lucky, your vet clinic might also offer grooming care as part of their package. Indeed, it can be hard to see your beloved pets deteriorate over the years. But at least you can do something to alleviate their condition and lighter up their load. Keep in mind that as your dog gets older, they will find more comfort in routine, extra attention and reassurance. About the Author: Grace Sumrall has been working with animals at her local shelter for over five years. She enjoys spreading the word on proper animal care to all her fellow pet owners in hopes that they learn what is best for their loved ones. We've had a few senior dogs here....and I, Daisy, may be considered as one, thought at 10, I still think I'm young. Hope Chooey's jaw heals well. Thanks much, our Shadow is getting there, so we will apply all we can to make her days better! That's a really helpful post, Haopee. You are right ... it's always hard watching our pets get older, but there's a lot we can do to help them as they do. Glad to hear Chooey is doing better. Re-consider annual vaccines. Many vets will say they need to be done, but a simple titer test can confirm if antibodies are high enough not to warrant annual vaccines. 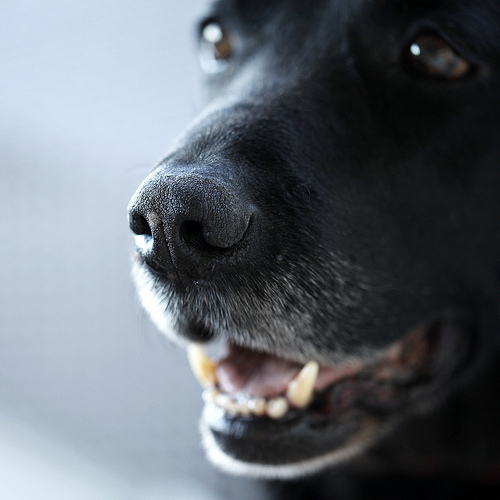 In fact, over vaccination is a problem for senior dogs, so definitely something to consider. I agree with you on this one! If only tests were a lot cheaper than vaccines, it would be very beneficial to our dogs. Annual vaccinations aren't necessary for other diseases. Thank you for this helpful and fun to read postie! Great tips on how to take care the elderly dog.